Gosh, I love playing with colors. Always have! And exploring the many various cloth, fiber and yarn dyeing techniques is a neverending fascination for me. 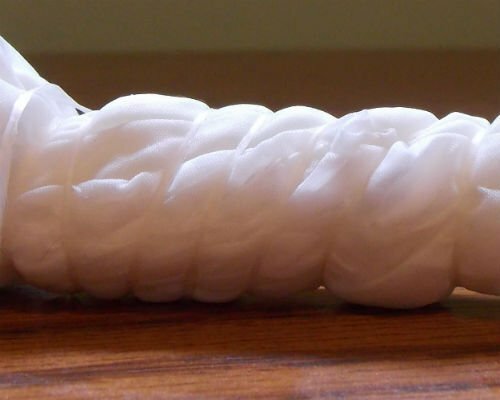 Shibori Dyeing is an age-old art of fabric dyeing which includes many various folding techniques, including Kumo Dyeing. 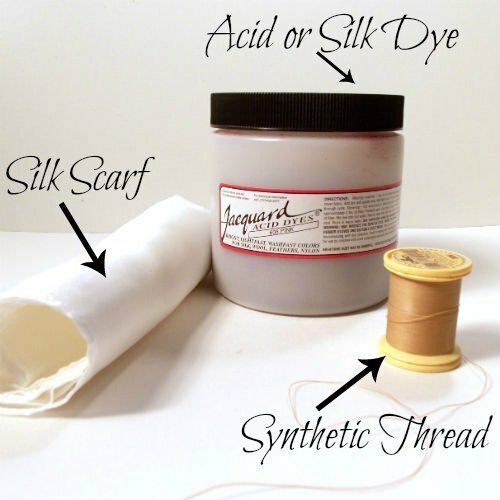 Here’s my version of dyeing a silk scarf with the Kumo Shibori method which involves pleating and binding. 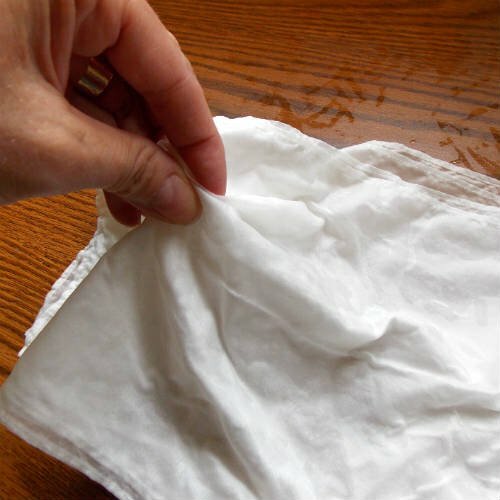 Warm up a cup or two of vinegar and soak your silk scarf for about 30 minutes. This will help set the dye. 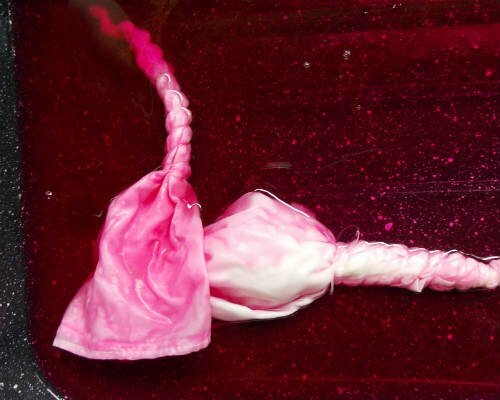 Take the scarf out of the vinegar bath and squeeze out excess liquid. Now, fold it in half lengthwise and then fold it again. 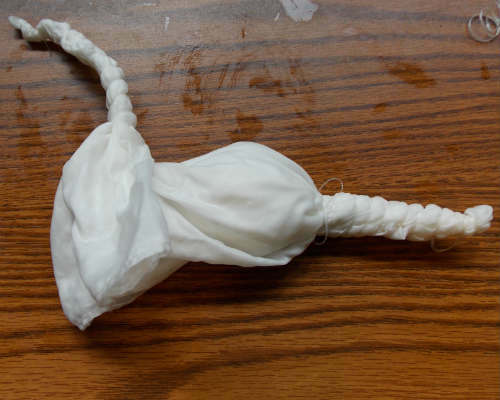 Pull up a random area of the scarf (all 4 layers) and tightly tie the string around it in spiral fashion. Repeat in one or two more spots, depending on the size of your silk. There you have it! A beautiful, one-of-a-kind Silk Scarf. 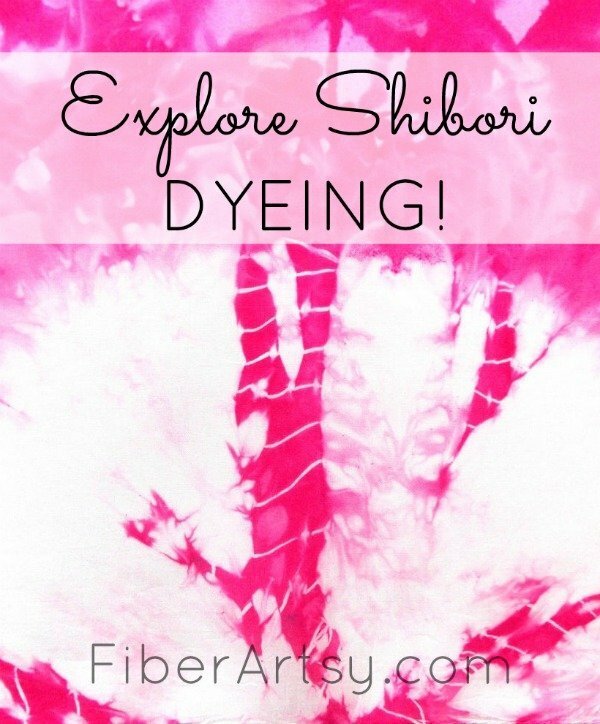 Shibori dyed Silk Scarves make a wonderful homemade gift idea for Christmas or Birthdays. I love how this turned out! It is always helpful to have directions with tie-dying so you don’t get a weird colored mess. Absolutely. I’m experimenting with several colors now which is obviously more challenging. Stay tuned for updates! That looks like something easy to do.. and the after product is very cool!